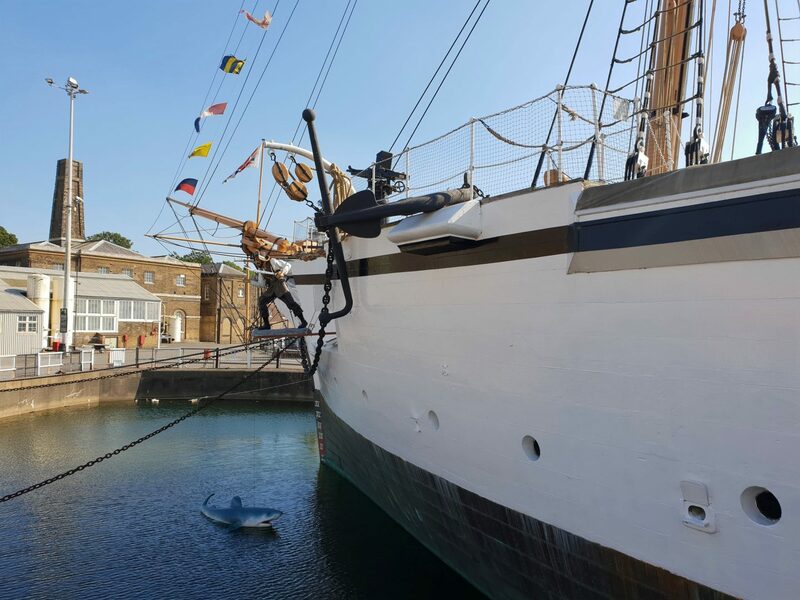 The Historic Dockyard Chatham has a new new exhibition from 6th of July 2018 until 16th September 2018. 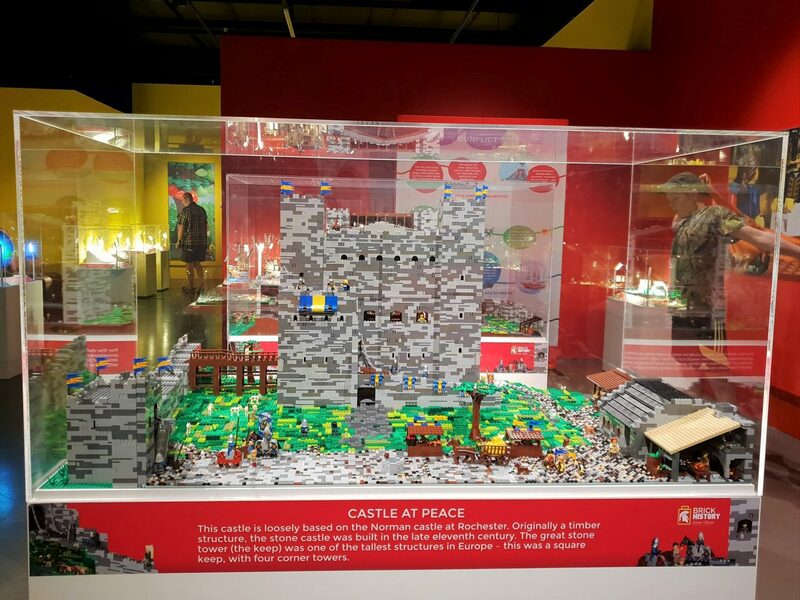 Perfectly timed for the summer holidays, this exhibition is a must see for anyone who liked Lego or has an interest in history! 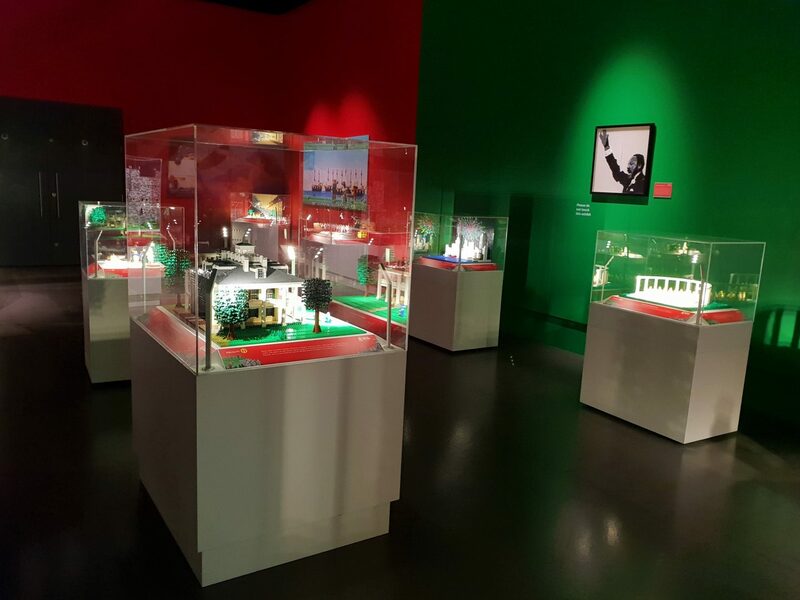 Brick History shows pivotal moments in the world’s history through Lego, with great attention to detail. 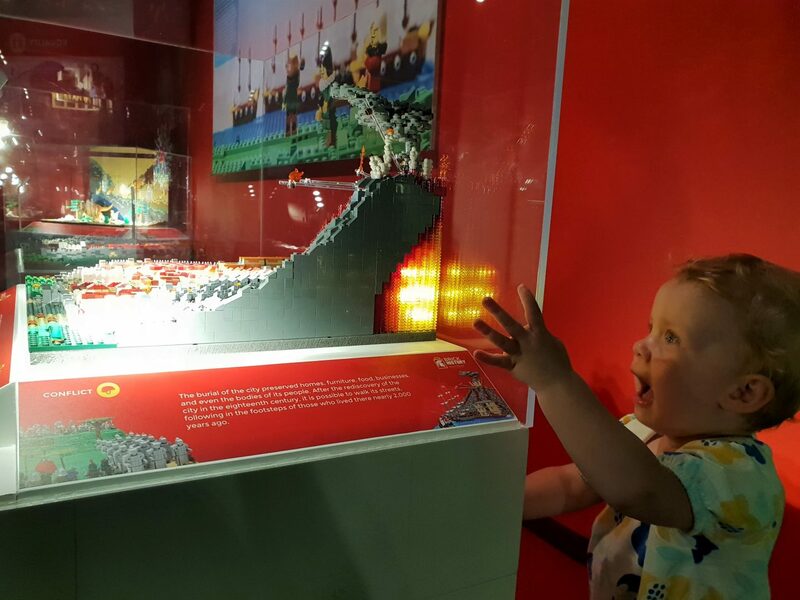 With Lego you can play with too, there is something for all the family! “Wow!” was the first thing I thought, as we were shown into the exhibition…and not just because the air conditioning was AMAZING after being outside in 37°C heat. 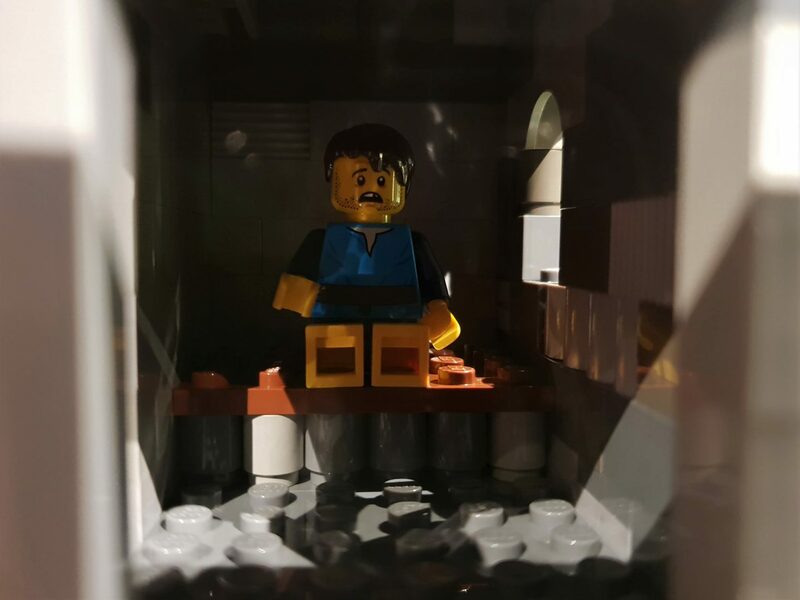 In several sections around a large room were cabinets with intricate Lego models in. Each one is dedicated to a certain point in history. There was even a Lego picture of Martin Luther King Jr. on the wall. The sections include arts, equality, exploration and more. One of my favourite displays was the castle. As soon as I saw it, I could see that it was loosely based on Rochester Castle. This castle is 5 minutes from us on a good traffic day and you may have seen it featured on my social media accounts and in other blog posts! Seeing the cross section of each side of the castle was really interesting and the information on the cabinet was interesting and nice and clear for children to understand. As I walked around it, there was so much attention to detail. A member of staff alerted me to a man sitting on the toilet, which was quite comical. He certainly didn’t look too pleased to be caught on the throne by me! 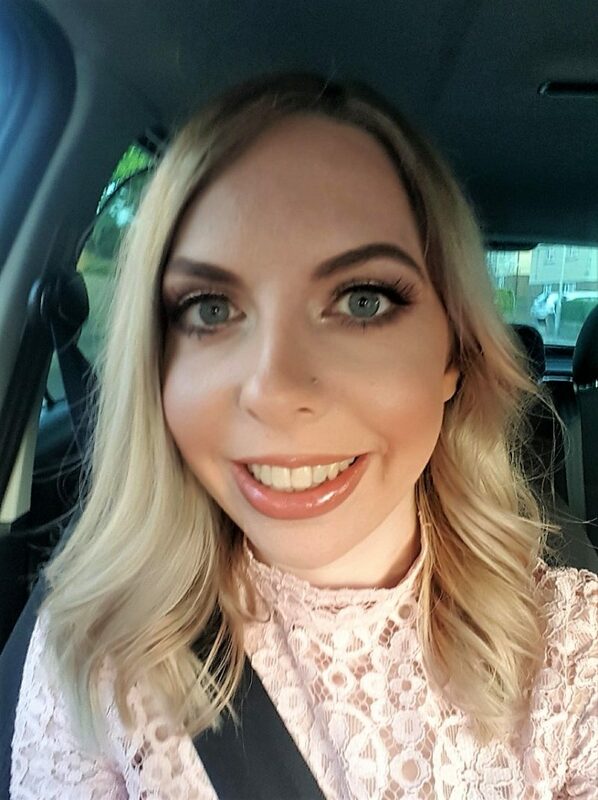 It was difficult to choose favourites and decide what pictures to include in this blog post. From the miniature concord, to the rotating globe, there was a lot that captured my interest. However, another of my favourites was the suffragette display. It’s something I’ve always been very interested in. I think this is partially because I passionately feel that I would have been part of the movement had I been born in that generation! 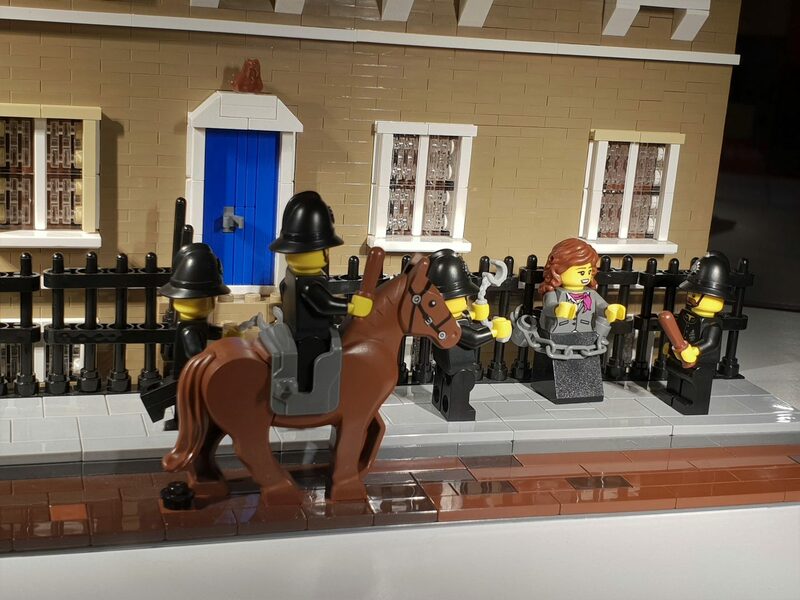 It was fantastic to see this part of history displayed in Lego form. 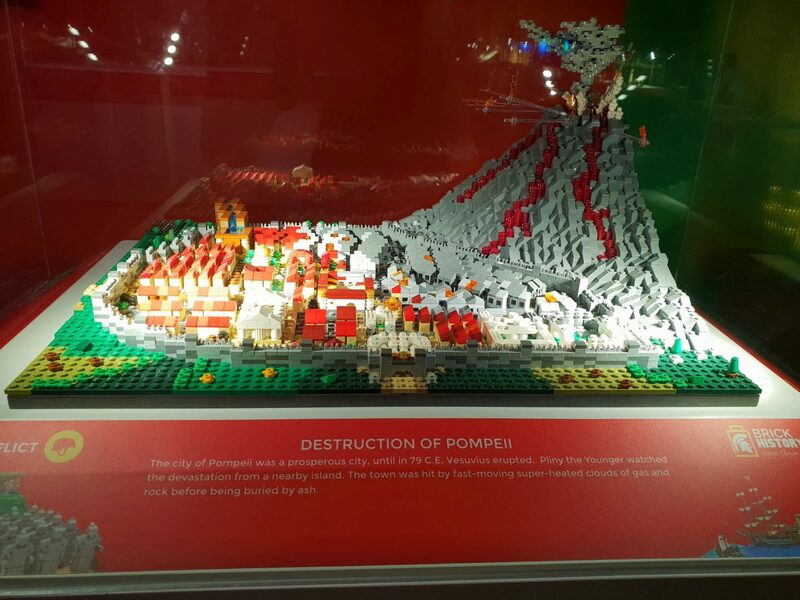 I also particularly enjoyed the model of the destruction of Pompeii. I thought the glowing lava inside the volcano was a brilliant touch. So did Autumn – here’s the moment I captured her saying “Wow!” as she looked at it. Inside the exhibition is a screen showing a short film of some of the moments in history depicted throughout the cabinets. 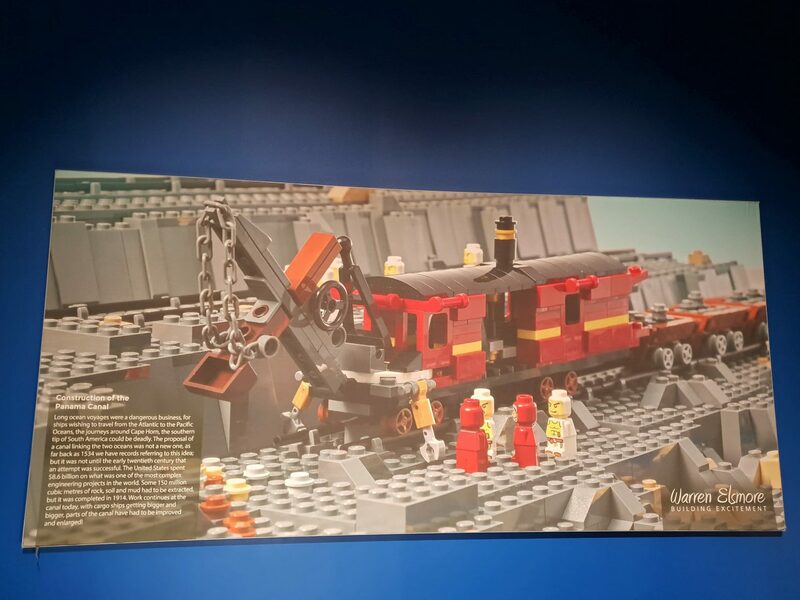 Meanwhile, on the walls are pictures of various scenes in history shown in Lego, such as this picture showing the construction of the Panama Canal. If you’re feeling inspired by the creations around you, there is a large table with lots of seating where you can make your own Lego creations! 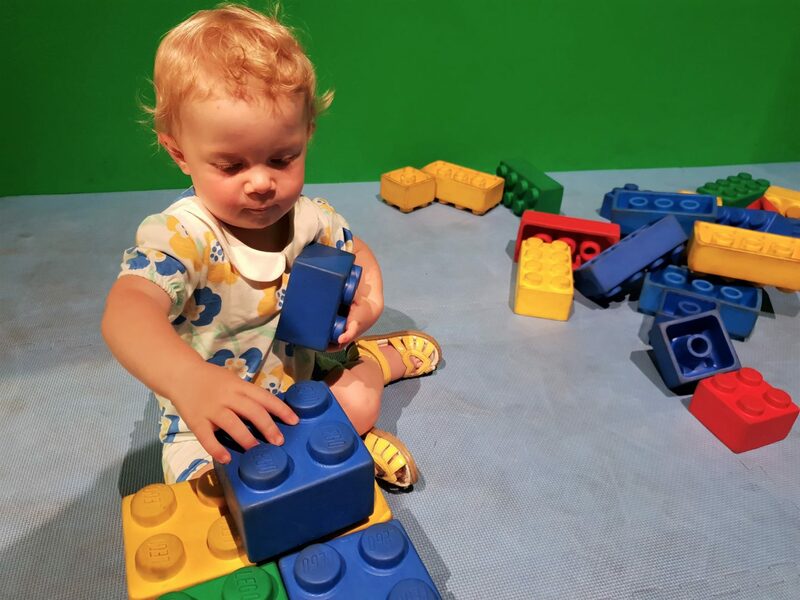 There is even a section with big Lego blocks, ideal for toddlers and younger children. With some help, Autumn made a tower taller than herself! If you saw my Instagram story last Thursday, you may have seen her nodding and smiling ever so proudly as she added a block to the top. She had a great time! Of course, Brick History is just one part of the fun at Chatham Dockyard! There are all kinds of things to explore at this historic site. We enjoyed going aboard HMS Gannet and Autumn learned the word “shark”! With various things undercover as well as outside, this is somewhere in Kent that is good to visit in any kind of weather and is worthwhile adding to your list of things to do this summer holiday! As if you needed any more incentive, kids go for only £1 until 2nd September! For more information on prices and booking click here. Disclosure: We had free entry to The Historic Dockyard Chatham for the purpose of writing this review on Brick History. As always, all views and opinions are honest and my own. Me neither, but they were great to look at!